Whenever I hear a recording artist talking about the "vaults" I automatically think one of two things. #1, this is music the artist recorded and has in the stash waiting to put it out on a new album, compilation, soundtrack, etc. or #2, this is music an artist has recorded that wasn't good enough to make the final cut of any of their albums. Back in 2010 Jill bounced from her former record label Hidden Beach and they sued saying she breeched her six album deal. Eventually a settlement was reached for Hidden Beach to release a series of Jill's unreleased songs she recorded for the label. But with that being said, I really don't know what to expect from this album. Would it be the "classic" Jill we all love or just some throwaway music to settle her debt to Hidden Beach? 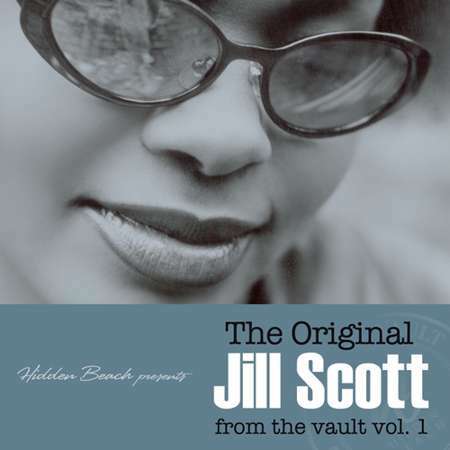 "The Original Jill Scott from the Vaults Vol. 1" sets off with the Carvin Haggins and Iavn Barias (from A Touch of Jazz fame) produced "I Don't Know Why" and has Jill telling a dude she's feeling in classic Jill fashion that she "makes a mean sheppard’s pie" while "Wondering Why" has Jill questioning what happened between her and an old friend and why they don't speak anymore. "The Light" teams Jill up with Dre & Vidal (also from A Touch of Jazz) and has Jill showcasing why I think she's the illest female MC in the game, "let me stop trying to force the issue/I've been getting all the right lines but I ain't been paying attention/must be trippin’ off what those record executives mention/want me to be what they want me to be but that ain't really my vision." The 1st single has Jill working her magic on Bill Wither's classic "Lovely Day" and “Wake Up Baby” has Jill’s grandmother dropping some jewels on her, “if he really cared for you, he wouldn’t be calling so late” over a vintage Anthony Hamilton “Coming From Where I’m From” type beat. "Running Away" is classic Jill and "I'm Prettier" has Jill letting go and letting God. “Comes to the Light” has Jill questioning herself, “how did I let it get this far/how did I make this wrong turn/how do I change the things I’ve done/only one lesson learned” and “Holding On” has Jill on her mellow jazz jawn and ends the album with you wanting more Jill…as usual. Nas showed us with "The Lost Tapes" that songs that didn't make the album can still be dope. In fact, those older songs are sometimes better then the new stuff that the same artist is dropping now. With "The Vaults Vol. 1" Jill shows us that even her older music that's been sitting on ice for the past 10 years is still ill. I won't say this music is on the same level or better than the new stuff she's dropping but that's not a bad thing. Jill is the kind of artist whose style is always evolving and her music reflects where she's at in her life so you can't compare 2011 Jill to 2000 Jill. But the good thing about "The Vaults Vol. 1" is it doesn't fall under my 2nd category of throwaway music that wasn't good enough to make any of her albums...it's FAR from that. I'd compare this album to looking through one of Jill's old photo albums. Some of the people in the pictures may not be around anymore but the one person who's still standing is Jill. And she's still the same ole Jill from Philly who we all know and love.